Create exciting scene changes and dramatic visual effects with the SceneControl™ 15 console, a compact, feature-packed motion controller with capabilities that will delight audiences. 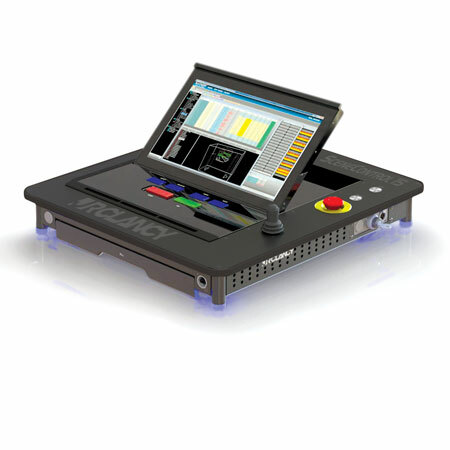 The mid-level controller in the SceneControl™ family, the SceneControl™ 15 console can control stage machinery, automated hoists, turntables, wagons, and more in a venue of any size. There is virtually no limit to the number of cues per show, or the number of shows you can create. With 48 different axes (channels), operators have plenty of capacity for complex moves onstage, even when several moves take place at the same time.